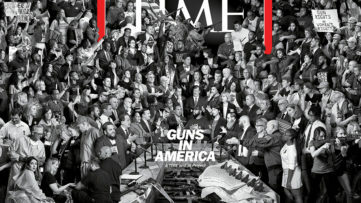 The French photographer is again our artist of the week and we have good reasons to have done so. Artists of the Week are those that are extremely active during a particular week. Collaborations, projects and exhibitions are all things that can put an artist in the spotlight and make him an Artist of the Week candidate. JR has done all three things in recent days. 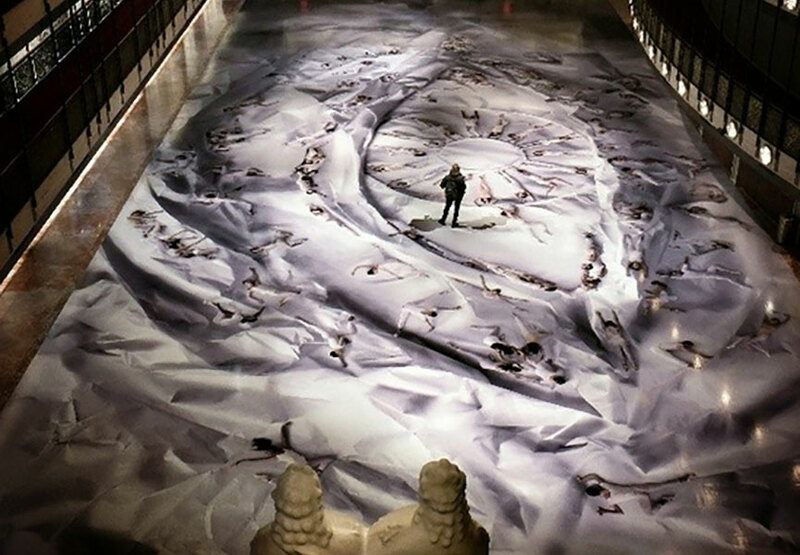 JR collaborated with the New York City Ballet (NYCB) as part of the ‘Artist Series’ that invites contemporary urban artists to design the atrium of the David H. Koch Theater. 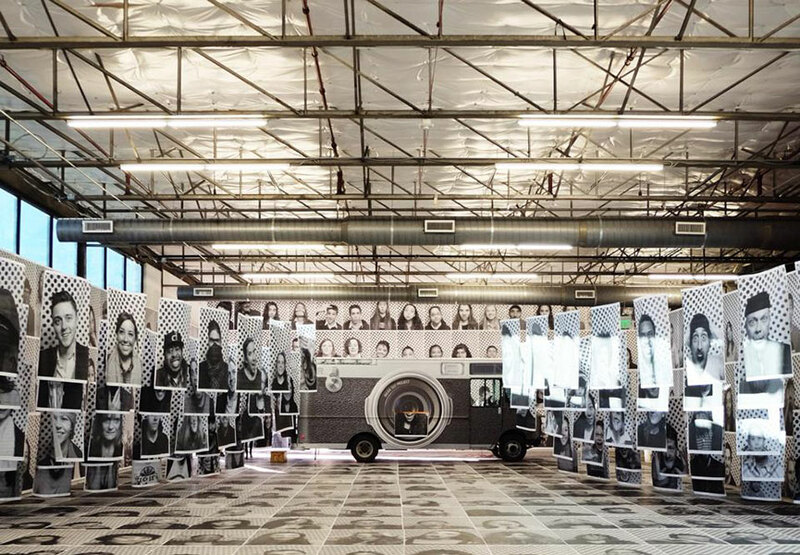 JR has done so with great success redesigning the entire floor of the entrance hall with the photography of an eye formed from white sheets with ballet dances in between them. 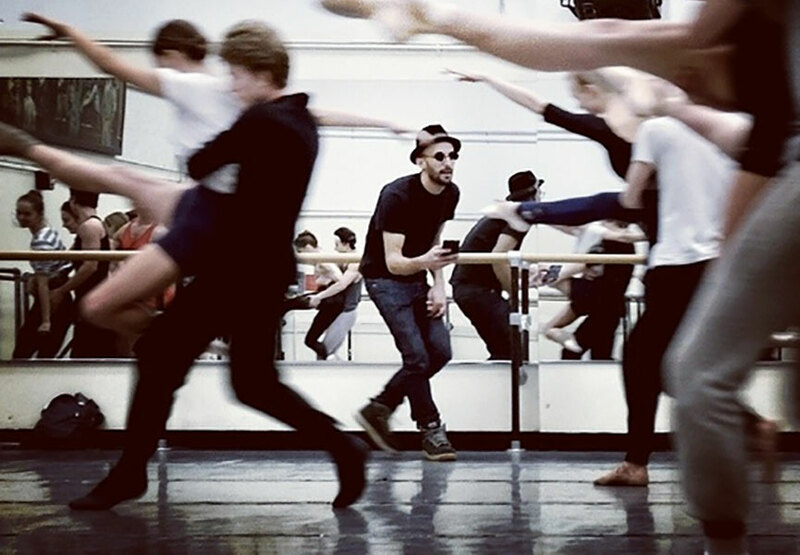 For JR working on this collaboration meant that he spent several hours at meetings, rehearsals and shows that moved him to dive deeper into the art form ballet. Like true great artists he didn’t shy the challenge to venture into a new a new art form. JR will watch the premier of his first choreographed ballet piece on April 29th. The Centre of national monuments (CMN) announced that JR will decorate one of the world’s most famous mausoleums. The dome of Paris’ Pantheon is undergoing renovation, and the construction site itself will become a work of art. 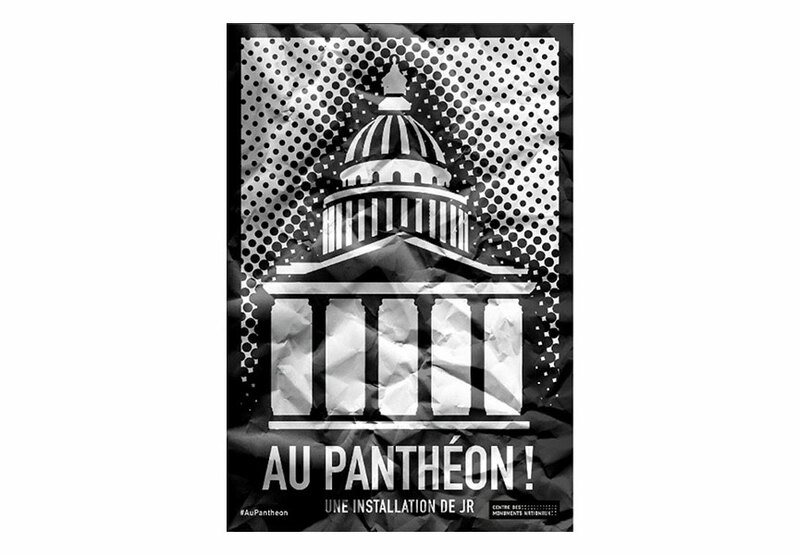 JR’s ‘Au Pantheon project will become the construction sites art. His famous photo-truck is touring France at the moment to find faces that will eventually cover a great Parisian monument. JR is also being showcased at the moment. 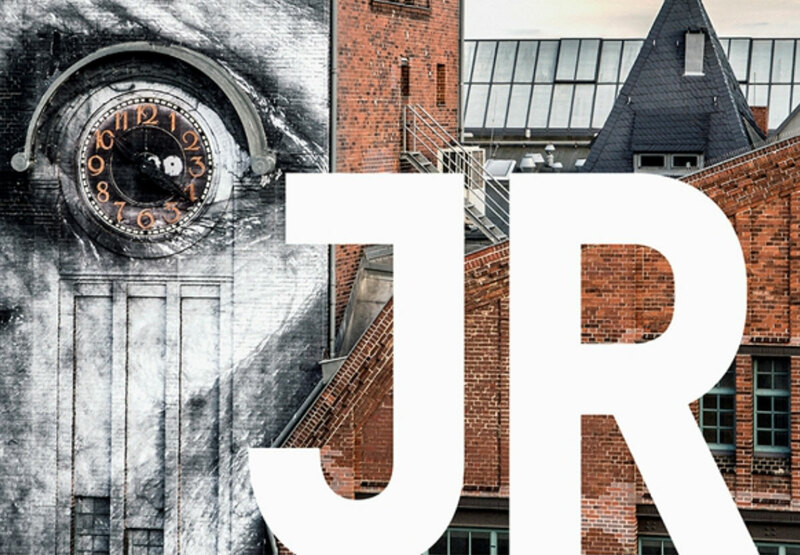 On March 1st Museum Frieder Burda in Baden Baden opened the doors to a JR retrospect they plainly title “JR”. Says enough don’t you think? 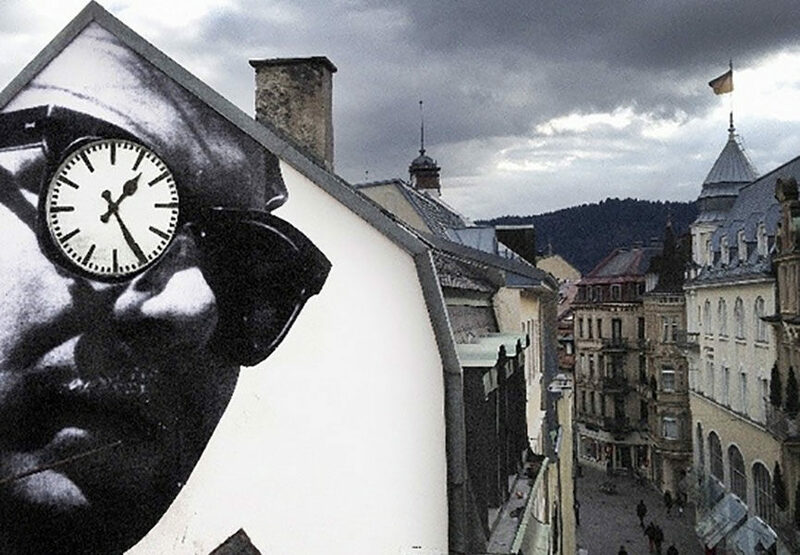 JR is 31 and he has a solo exhibition at Frieder Burda, Dallas Contemporary and MOCA Los Angeles. We know that Artist of the Week is big, but museum-solo shows are bigger. 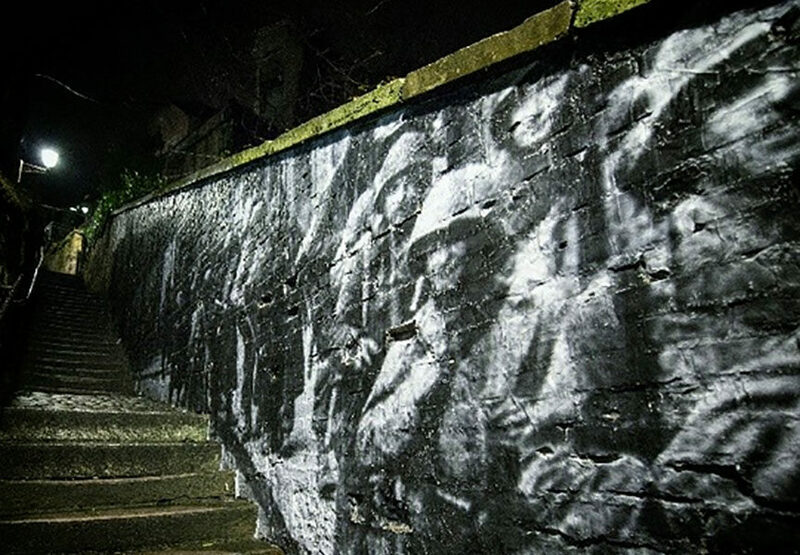 Besides having nearly all his projects showcased, JR also continued the ‘Unframed’ project that will include the town of Baden Baden, referencing German and French history of the town with an emphasis on the friendship of two peoples. 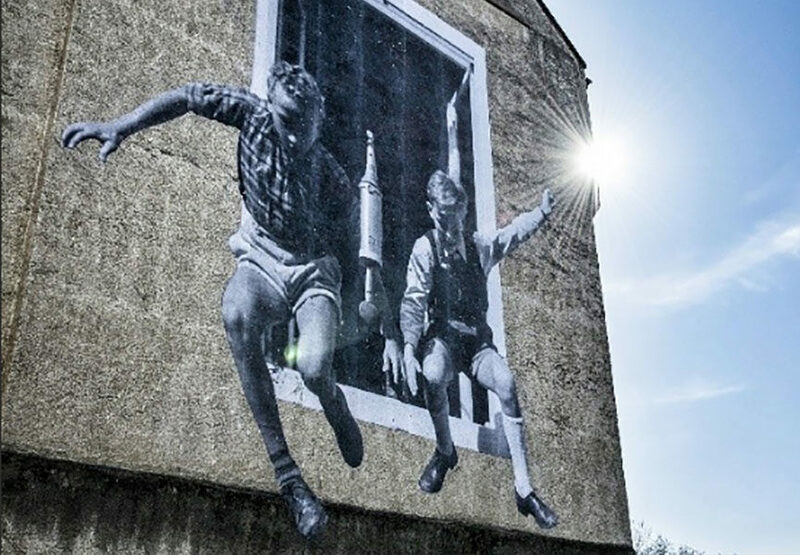 Paste-ups of old photography’s from WWII now adorn the buildings of the South-West German city that was once occupied by German’s and French. 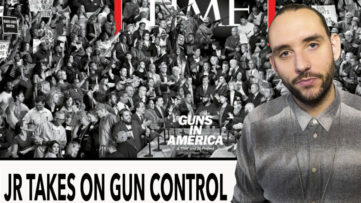 Needles to write why JR is again our Artist of the Week. 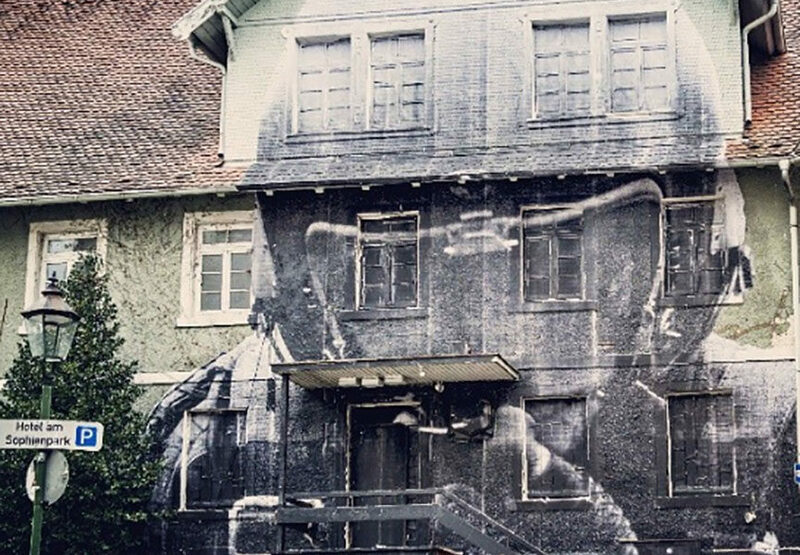 At the moment there is just no one out there hitting it quite as hard as JR.
As a teen, JR started writing graffiti on the streets of Paris wishing to leave his mark in the world. Adventuresome and smart, he often chose tricky spots for his artwork, rooftops or subway. The photographic documentation of his tags started accidentally, when he found a camera on an underground train. Soon after, he began placing photocopies of these pics on public walls. His quest to find kindred graffiti spirit took him on a road through Europe, where the idea of using contours of the urban areas first appeared. He was applying postered photos of the people he met along the way in the streets and basements, and then, on rooftops of Paris. 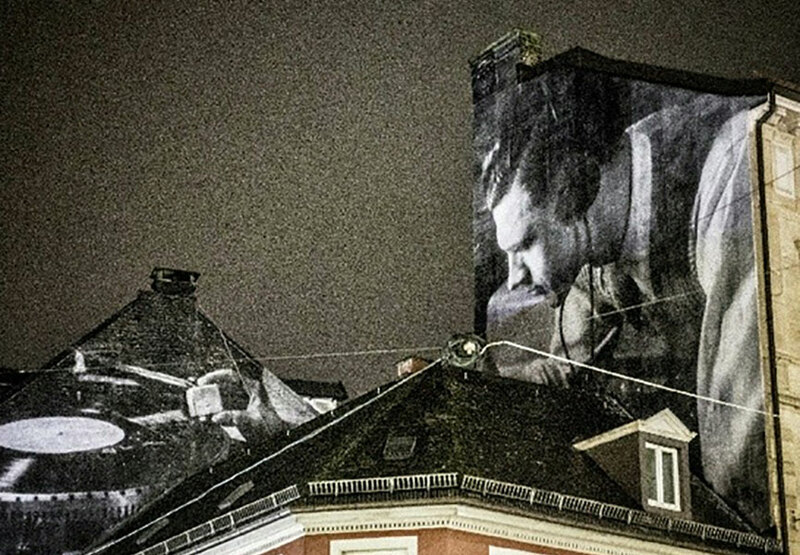 His inventive and visually effective way of producing street art lifted his project Portraits of a Generation from an illegal to an official level when the City of Paris embraced and pasted his photos on various buildings. Executed in the course of two years, this project showcased portraits of young people from the housing projects of the French capital. 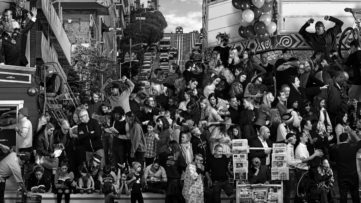 Shifting from the, so-to-say, traditional graffiti technique, JR began using photography as a primary source for his prints, but his means of expression include video, canvas prints, urban areas, books and social networks.